summer homes is a small locally owned building company offering high quality homes for sale on the southern mornington peninsula. Regarded as one of the areas most conscientious and imaginative builders, summer homes are well known for their individual flair, attention to detail and commitment to quality. 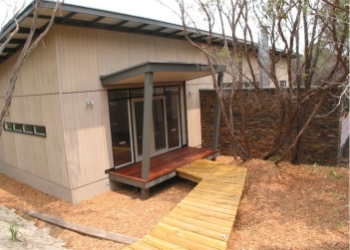 summer homes vision is to develop unique, innovative concepts that blend into the natural environment. The land is carefully chosen, then the design process begins, taking into consideration the ancient moonah trees and other indigenous coastal vegetation.